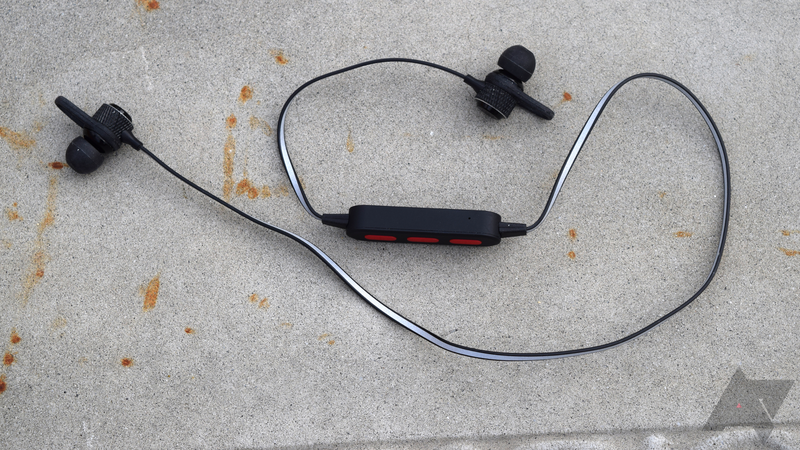 Fitness-focused audio is a very saturated market, filled with options both good and bad. Wicked Audio, a manufacturer that focuses on providing good style and bang for your buck, recently sent me the Shred Wireless to try out. 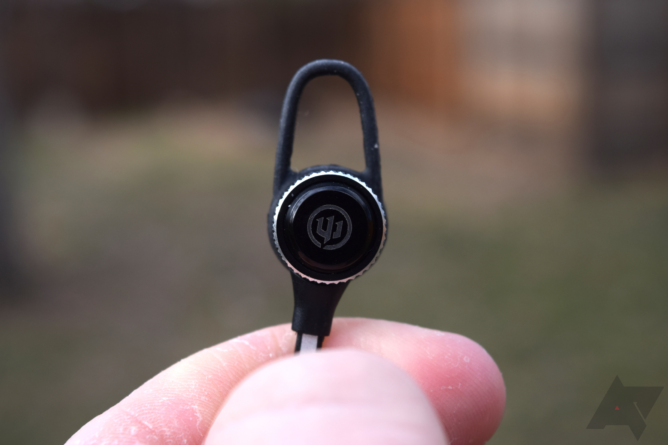 This pair of neckband earbuds packs quite a decent punch, especially for the price. The magnetic, metal housing on the buds themselves is nice, too. But there's always one thing that's enough to drive me mad, and it keeps the Shred Wireless from being a great option. 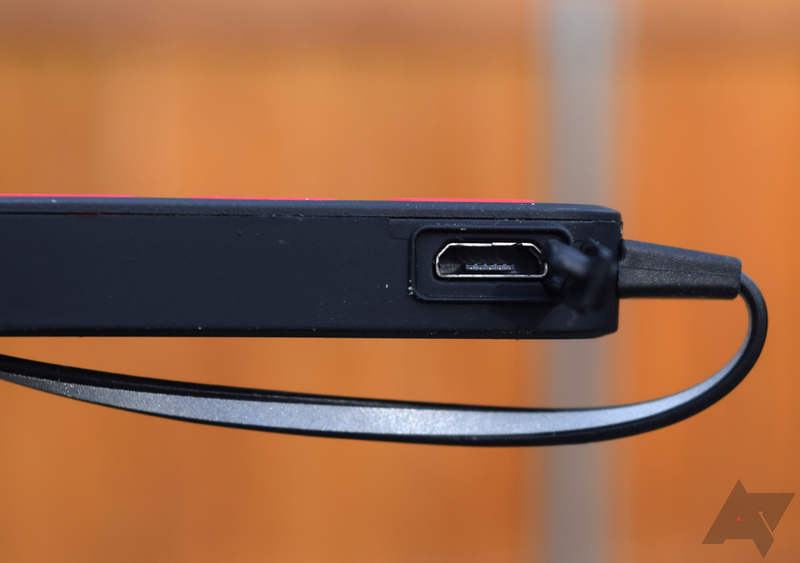 As it stands, however, it's still a fairly good product, though I have a hard time justifying it over something like the cheaper Optoma NuForce BE2, which is similar in many ways and better in others. Sound Basically, the sound isn't too bad. Bass is a bit hit or miss, which I would expect in earphones, and highs feel a bit strong, but the sound profile is otherwise decent, especially for the gym. Build quality The metal housing on the buds feels solid with a knurled, textured grip. Each one also magnetically clasps together around your neck. Comfort The cups on the earbuds are fine, I guess, but the problem is the remote/battery pod on the right side of the cord. It's very heavy and pulls on the right earbud, often yanking it out. Battery life While five hours is fine, I've gotten better out of similarly-sized and priced devices. 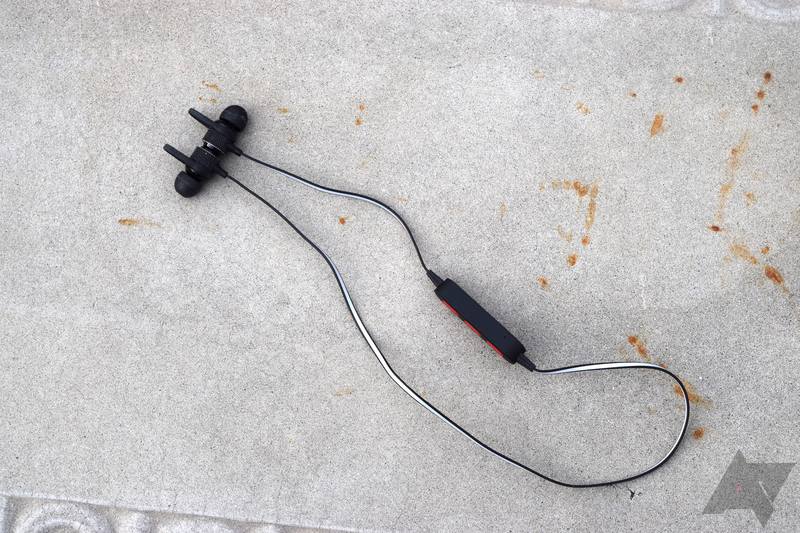 The last Wicked Audio product I reviewed, the Endo, did not impress me, especially in its build quality. The Shred Wireless, however, is very different. Both buds are metal and magnetically clasp together, ensuring a secure fit when wrapped around your neck. The knurling around the driver housings feels nice and grippy, giving the Shred a nice sense of quality overall, despite this choice of texture being odd for fitness earphones. It's only downside is that it picks up dust and dead skin quickly and it is not easily cleaned. I received the "men's" version, and while there's also a "women's" edition, the only difference between the two is the color — men's is red/black, women's is white/teal. Okay, then. 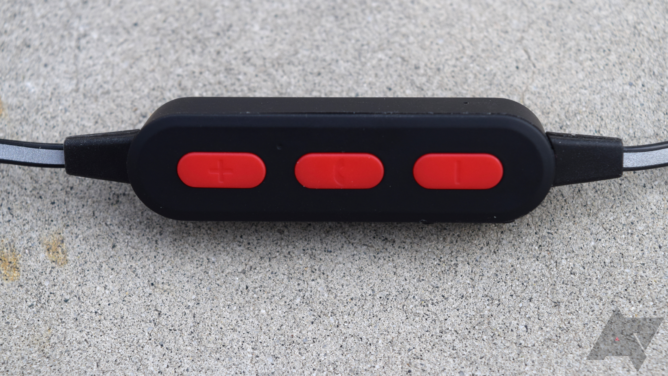 The cord is flat and has a reflective stripe running down the middle, which adds one more method for people to see you if you're out running at night. The flat cable also keeps it from tangling on itself, and while great to have, it's by no means novel. Still, I like seeing these handy quality-of-life features on budget Bluetooth earphones. My only gripe with the build quality and design comes down to comfort. The Shred Wireless sports very typical tips, so they feel okay for a quick workout or walk. 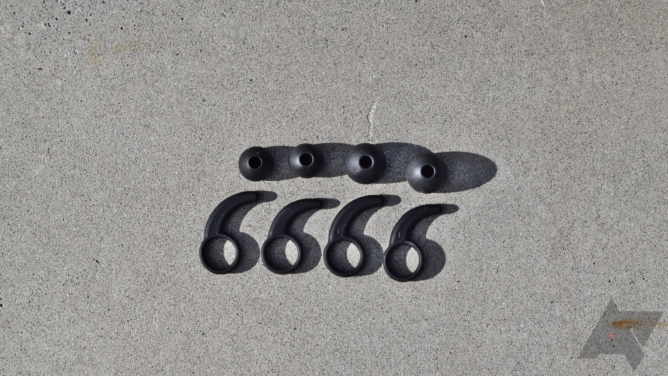 Wicked Audio includes several different silicone wings to help you find a secure fit, which is essential in fitness earphones. You can have an arch, which I found didn't help that much, or Jaybird-style curved fins. For $55, there are a lot of options here. The problem, however, is the battery/remote pod that hangs on the right side of the cord. It's comically large and it feels light initially, but becomes heavy after a bit, meaning that it pulls on the right earbud. This is a relatively minor irritant while doing something low impact like lifting weights, but it makes the Shred almost unusable while running; constantly adjusting the right bud, to keep it from getting yanked out, is not something I like doing while out for a jog. The extra weight also started to hurt my right ear after a little while. I also don't like the buttons on the remote; they're very soft and not as tactile as I would like, and they often require a firmer press (than you might expect) to register. If not for the obnoxiously heavy pod, the Shred Wireless would feel like any other pair of cheap earbuds that you could pick up at Walmart or somewhere. They're serviceable and if you use the fins, they'll stay in your ears better. For $55 earphones, the Shred Wireless has pretty decent sound. Bass is often either too weak or too strong, meaning that I rarely found a middle ground except in a few specific songs. It's not very distracting, though, and odds are that you won't notice it if your mind is focused on making it through the next set or cardio session. The mids can suffer somewhat from the wishy-washy bass, either getting overpowered or being too prominent. Highs seemed to be a bit on the strong side, but I might just chalk that up to the fact that I tend to be more sensitive to the higher frequencies than most people. The majority of the time, though, the upper ranges were clear enough and didn't cause distortion in any song I tested. 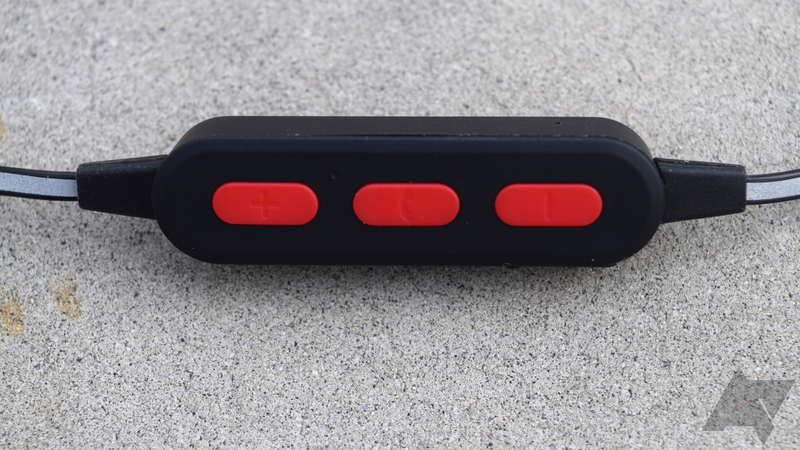 I think that the Shred Wireless' middle-of-the-road sound profile is well-suited to an active lifestyle and should appeal just fine to the target audience. You won't discover new notes in your favorite music, but that's not the point — for $55, I'd say you're getting a lot in terms of sound. Wicked Audio claims that you'll get five hours, which is right on the mark. That's okay, but nothing impressive, unlike the NuForce BE2 with its ten. Five hours gets me through almost two workouts, dying halfway through the third. This isn't necessarily bad, but if your workouts push close to two hours, then you'll be charging the Shred Wireless a couple times per week. Wicked Audio did a much better job on the Shred Wireless than the Endo. With a solid build and good sound profile, you might be tempted to pick these up. However, the okay battery life and obnoxious remote are worth considering, the latter especially if you're into running or something like that. I also don't understand why Wicked Audio decided to separate the two color options into "men's" and "women's" editions, but whatever. But for $39 on Amazon, you can pick up the Optoma NuForce BE2, a much better product. It has better battery life, a similar sound profile, and much better comfort. Though not made of metal, the driver housings also magnetically connect and the flat cord can be retracted to offer a better fit (but it lacks the reflective streak). It's funny how large the Shred Wireless' pod is, considering that BE2's is much smaller/lighter and the battery lasts twice as long. Honestly, if not for that huge remote pod, I think I'd have an easier time recommending the Shred Wireless. I understand that not everyone is in the gym as long/often as I am, so five hours of battery life may not be that bad. But earphones are already an uncomfortable product (usually), so piling on top of that pre-existing weakeness is really a strike against the Shred. If you really want these, I'd wait for them to come down in price or go on sale.